Lush landscapes stretch out as far as the eye can see in the rainy city of Curepipe. The rolling hills and high altitude are interrupted only by the nearby volcanic crater. 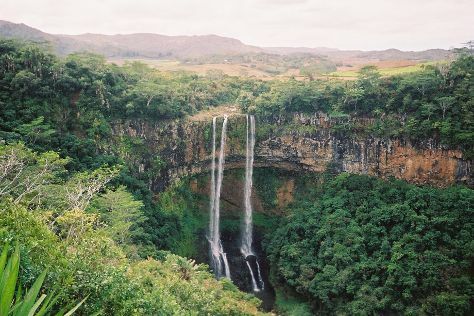 The area's cliffs yield waterfalls and abseiling opportunities, which remain some of the popular things to do in Curepipe. The town is a prominent political, economic, and education hub, and is surrounded and supported by affluent suburbs. Curepipe also offers decent retail shopping, a welcome distraction on a rainy day. Curepipe is in Plaines Wilhems District. Our Mauritius attractions planning tool allows you to plan your trip to Curepipe and a wealth of other destinations big and small.